Kris Jenner Says Khloe Kardashian Will Be "Home Soon" in L.A. With Baby True Thompson: "It's a Dream Come True"
Khloe Kardashian won't be in Cleveland for much longer. Kardashian matriarch Kris Jenner let the news slip while attending the American Woman premiere at Chateau Marmont last night in West Hollywood. Understandably, the Keeping Up With the Kardashians star is eager for her daughter and granddaughter to return to Los Angeles, as baby True Thompson is already seven weeks old! "Time is going by way too fast," Jenner told E! News exclusively on the red carpet. And it sounds like Khloe has already taken to her new mom role. "She's great," notes Kris. "She's the best mom in the world." 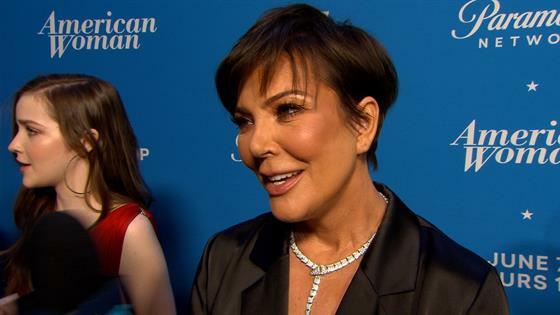 "She had a lot of practice with the nieces and nephews," admits a proud Jenner. "I think it's a dream come true for her." Not only has Kris already visited Khloe in Cleveland, but she regularly checks in with the new mom. "We go back and forth," the mom of six relays. "I FaceTime with her every day. So that's a lot of fun." Since giving birth, Khloe and True have remained in Cleveland but the mother-daughter duo may be relocating back to L.A. in the near future. "She'll be home soon," Kris confesses. See Kris' update on Khloe and baby True in the clip above! And watch E! News tonight for more from our interview with Kris. American Woman premieres on Thursday, June 7th on the Paramount Network.